The text opening the interviews series and unit is the result of conversation with Barbara Bracco, professor of Contemporary History at the University of Milano Bicocca. 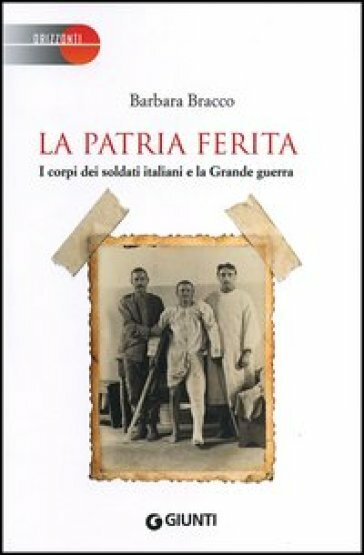 The Italian publisher Giunti recently released her book titled La patria ferita. 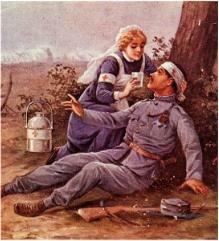 I corpi dei soldati italiani e la Grande guerra ("The Wounded Country. The bodies of Italian soldiers and the Great War"). We thank her for her precious contribution about the vicissitudes of the First World War mutiladed veterans in Italy. Of course we can enlarge her method and views and apply some of the considerations she made to the other belligerent countries that eventually had to face the huge problem of mutilation and defacement and to write the new meaning of sacrifice. You dedicated exhaustive studies, not only in this book, to World War I worship before the rise of Fascism in Italy. Is there a relationship between the creation of the myth of the "mutilated victory" and the celebrations of the "mutilated bodies" that followed? For sure we can find a connection between the myth you mention and the presence of mutilated combatants during the celebrations short after the end of the war. When Gabriele D’Annunzio first used the expression “vittoria mutilata” (“mutilated victory”) in an article appearing in “Corriere della Sera” at the end of October 1918, the mutilated bodies were already a massive presence in the civil society; both civil and military propaganda were already taking advantage of this fact. 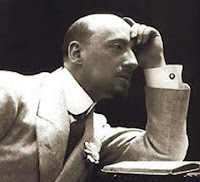 D’Annunzio had a polemic intent against the way politicians had conduct the war and were now managing the forthcoming victory: the huge sacrifice of millions of men would be frustrated by the incapacity and by the defeatist attitude of the government headed by the prime minister Orlando and of the liberals in general. In D’Annunzio’s statement we can recognize the end of the coalition between the democratic interventionism and the nationalistic movement, although that coalition contributed to the endurance of the country during the war and to the victory. On the other hand, during the last weeks of the war, the democratic exponent Gaetano Salvemini was already clarifying in his articles appearing in “L’Unità” the return of the democratic groups to the early position inspired by Giuseppe Mazzini. In this phase the explicit and rhetoric reference to the violated body could exercise – and in fat it did – a great political impact. The “mutilated victory” referred to the desperate situation of thousands of soldiers, who came back to their civil life with serious and sometimes very visible disabilities and mutilations. The bodies of these men became a symbol of the new “war of mass destruction” and they were also transformed into an even blackmailing element of the political debate of the time. The sacrifice of millions of men was embodied in the mutilated veterans. It was took advantage of the dramatic human, social and economic condition of the mutilated to point out a sense of collective sacrifice. Already in 1917 Benito Mussolini used his body, tormented by forty-four injuries, as a kind of manifesto of the whole Italian sacrifice. The same use of the iconography of the tormented body is traceable in the propaganda of the last year of the war, in order to persuade the civil society to support the economical effort of the conflict. At the end of the war and thereafter, the condition of mutilated veterans was able to summarize – probably even more than the “mass death” was able to do –, the specific “mass” character of that war and at the same time the aspiration to preserve the results of that huge collective effort. The Fascist movement was of course an interpreter of this feeling and it rose the “mutilated body” as a symbol of the “new Italy”. The "mutilated body’s myth" has somehow a polysemantic value during the last years of the Great War and in the aftermath and became a kind of collective construction that everybody used in the social and political debates of the time. Can we mark different stages of this complex, slow process? During the war the image of the mutilated body is able to gather different meanings: from the derision and the horror that we can detect in the popular culture, it attracted the scientific, social and political attention. First of all, the body became a starting point for new medical research. Think for example about the development of surgery that was able to keep alive men that until few years before would be destined to death . Not only because of the new therapies, but also thanks to all those new prosthesis, that were able to give back some functions to the veterans. The mutilated bodies became a symbol of this – sometimes outstanding – results of medicine in the scientific reviews of the period and we could also mention an exhibition of mid 1918, where people could see the results and the progress of the Italian facial surgery. A similar attitude is visible among the many committees that were able to give support and assistance to mutilated soldiers and that did not forget to show the results of their work of rehabilitation. In the post-war period, as the veterans get back to everyday life and after the first riots due to their poor economic situations, two new social actors came into play. On one hand, the State, that at the end of 1916 changed the legislation concerning welfare for the mutilated veterans and other people who weren’t able to get a job anymore. If we read the text of the law approved in 1917 we can find clear indications on the intent to rehabilitate and reintegrate the mutilated veterans in the post-war society. The text is even extremely precise in establishing pensions and providing for a period of rehabilitation in the so called “Opera nazionale per l’assistenza dei mutilati e invalidi di Guerra”, completely under the supervision of the national authority. This is an extremely important point because it is the first time that the State claims the right to control the human body. It is pretty clear that the Italian politicians were frightened by mutilated, tubercular and “crazy” war veterans because their simple presence in the society was itself the most dangerous manifesto against the war. The Socialist Party, in fact, in the Chamber of the deputies, tried especially thanks to the doctor Fabrizio Maffi, to give battle on many articles of that law for the extension of the right of all people concerned – directly or not – by the effects of the war, trying to transform the body of the soldier in the living symbol of the useless and tragic sacrifice of the war . One of the aims of the “proletarian league of the mutilated veterans”, established after the end of the war, beside the safeguard of its beneficiaries, was to convey the social discontent and to limit the protests rising after the return back home of veterans. We all know that Italian Socialist Party was not able to intercept this protest. On the other hand, as we said, the nationalist groups succeeded in taking advantage of the mutilated body. I’m not thinking about the literary attempt made by D’Annunzio – take for example his Notturno, where he transformed the physical pain of the soldiers into the torment of the entire nation. I’m referring to the never-ending action of civil and military propaganda dedicated to the physical sacrifice of the Italian soldiers. We could even conclude saying that after Caporetto, thanks to an exceptional semantic turn, the mutilation switched from being a dangerous and subversive element for the national rhetoric to becoming the cornerstone of the civil and military resistance of Italy and, lately, of its moral “regeneration”. What people usually ignore is the huge impact of the “disabled war veterans’ matter". Its proportions were awful and today it is sometimes hard for us to understand the physical and material presence, even the impact of these people in the society of the aftermath. Is there an effective way to let people understand which impact exercised the mutilated people on the collective imagery of the time? Photos, figures, must-have books, where we could learn more? We have lots of documents showing the European and Italian veterans during the war period and the aftermath. Let’s think about the images showing the disfigurement of the soldiers. Taken to show the thoughtfulness of the state and of the Army towards their soldiers, these pictures tell us today the tragic impact of the Great war on the young European generations. Almost always set in the reassuring frame of the centers of assistance or in the new places of employment, these images communicate us today something very different from what they had to tell to a civil society frightened by the social effects of the war apocalypse. One of the most popular example is Ernst Friedrich’s book Krieg dem Kriege: by collecting photos from hospitals and in the first aid centres for scientific purposes, Friedrich put together one of the most frightening portrait of the war. The memorials and the written accounts of these mutilated, the soldiers or the civilians who lived beside the are probably closer to their mental mind landscape. There is a rich literature about the physical pain. If we take the case of Italy, we count the books of Carlo Salsa and Giuseppe Antonio Borgese (his novel Rubé show clearly the signs of this sufferance), but also the letters between the soldiers and their relatives at home. In Milan we remember the case of those families complaining with the authority because they were convinced that their beloveds were segregated because of their terrifying deformities. On the other hand, we have the reports of the authorities telling about the mutilated veterans becoming beggars or protagonist of many scuffles. We could go on also mentioning the ex-voto and the votive plates of the soldiers who escaped the dangers. This is part of the popular experience that has not been given the right value and that shows the obvious but fundamental relationship between the human body and the war. How does the building of this myth act on personal experiences and on their memories? Did the myth of the "mutilated body" affect the way people revised the tragic losses of the war and the way they wore mourning? The wound and, even worst, the mutilation is a permanent memory of the war and became a constant presence in the life of the veterans and in the civil society. The political construction of the myth of the mutilated body was also an attempt to give a sense and a precise meaning to sufferance and to the loss. We could list the cases of those veterans, who were able to give a patriotic meaning to their sufferance and so became symbols of the Great War. 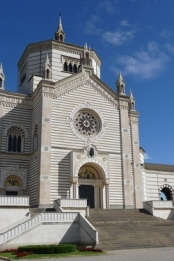 The most renowned cases are the ones of Carlo Delcroix and Fulcieri Paulucci Di Colboni. Starting from May 1918, during the celebrations in Milan and Rome of Italy’s entrance in war, the presence of these veterans became extremely prominent, being with their body a living proof of national heroism and sacrifice able to overlap with the collective patriotic imagery. Body violation is soul violation. What role/function did the war injuries and traumas have in the timeframe you examined in this book? The theme of psychic sufferance during the war was underestimated because of a military prejudice. The “war madness” was considered by many officials and doctors only as fear of the battle. The shell shock trauma was hardly accepted by the military and medical debate, even if they could count on a rich literature from the previous wars about this reaction. Nevertheless exactly the wounds, the mutilations and physical traumas rose for the first time the question about the physical and mental endurance of the soldiers and veterans. Would the men without legs, defaced, deaf or blind because of an explosion experience also a psychological pain, a kind of emotive disease? The higher commands of the army suspected that wounds and mutilation(especially when occurring on upper limbs) could be acts of self-mutilation, ascribable to cowardice, but not to that psychic sufferance, that led many soldiers to inflict horrible wounds to themselves. The relationship between body violation and soul violation became evident in hospital camps, in the first aid and rehabilitation centres. The reports coming from medical and paramedical staff avoided to highlight the strongest emotional reactions. They rather described them as children looking for a guide, for support, whose custody was granted to the thoughtfulness of nurses and to the care of women, according to the tradition. However, if we read carefully the reports about people escaping from these assistance centres, we realize that at least a state of confusion and fear (maybe a mix of this sentiments) was clearly recognized and mentioned. What sources did you considered? Can you explain how this book grew up and took its shape? I took into consideration a wide range of sources for my book, from the above mentioned reports of the assistance centres to the acts of the Parliament related to the law of 1917, from the propaganda’s iconography to the War World One literature, from the “ex-voto” to the prefectures’ archives. The theme of the body during the Great War claims this array of sources. Of course there are other documents we should look at: from the war memorials showing mutilation to the letters of the veterans. If we think about what the book drew inspiration from, I have to say I’ve been working on the Great War and collective imageries for many years. Moving to the “mass death”, it’s clear that the European and Italian societies were able to produce precise strategies to elaborate the sorrow. Of course these strategies were rhetoric-driven, but at least they tried to give a meaning to that horrifying tragedy and loss. The book draws on a question: how could be absorbed the physical trauma of millions of survivors, bringing in their body the signs of disfigurement, mutilation and ruin? Their faces and limbs would have testified for years the horror of the war. The absorption was probably possible thanks to the rhetoric of sacrifice and of “patriotic loss”. This strategy could work also today, if not totally, at least partially. While working at this book I though many times about the American soldiers coming back from Middle-East areas. I noticed that even if, on the one side, civil and social protest rose not only each time coffins arrived in the United States, but also in seeing the mutilations of the soldiers, on the other hand, the narrative strategy of the “patriotic sacrifice” still gives a sense to that war. And the above mentioned absorption of the sorrow was possible only showing those bodies, not by hiding them. We can enlist a lot of European or American reportages about physical and mental rehabilitation of the veterans. These men gave their lives for the State and now the society is doing its best to nurse them and it is progressively transforming them into heroes. Let's now move to the European scene. Can we speak of the uniqueness of the Italian case or should we notice a similar process of idealization in other European nations? In the other countries the history of the “mutilated body” was similar of that we have traced in Italy. The devotion to heroism embodied in war veterans is traceable everywhere. Take the German case for example, where they established a system of pensions that was quite similar to the Italian one. The same considerations can be stated for the general improvement of medical research, as for the rehabilitation of face traumas in France, were soldiers were nursed in specialized centers also in order to put them out of the sight of the civil society. I think, anyway, that the Italian process of “making sense” out the war tragedy has to be considered as a singularity at least from one point of view. The body of the soldier became during and after the war the fulcrum and the manifesto of the modernization of the war. The rapid processes of social, political, scientific and cultural change brought by the war in an unripe country like Italy were concentrated to the utmost in the limbs of the soldiers. The first collective challenge of the Italian population discovered its perfect symbol in the image of the soldier and in his scars. Are you planning new books and studies about the Great War years? My next work is a study about the transformation of the Italian civil society after the military “test” of the war with particular reference to the impact of the so called “mass death” on the Italian families. I’m always fascinated from the fact that the Italian society after the hardest test was able to find some strategy to absorb not only the grief but also a kind of cultural and social grief. I’m currently working on the gravestones of the Famedio, the monumental cemetery of Milan, namely 300 gravestones of soldiers scattered and buried in the awe-inspiring Italian Ossuaries. Who were these men? And what do we know about their families, that with a mixture of pride and sorrow decided to celebrate their relative with a gravestone in the main city cemetery? The First World War Centenary is forthcoming. How is the Italian academic environment preparing this important event? Are there some projects that you would like to highlight? A lot of initiatives are scheduled for the 2014 and 2015. Some groups of researches from the Universities of Bergamo and Trento or from other Italian universities are working closely and they are planning studies and conferences that go from military history to the social and political ones, with the important support of specific research centres like the Museo storico italiano della guerra di Rovereto (and of course with the support of national authorities). As far as I know (but the situation is developing very fast) the aim is to depict the state of the research on World War I. Many Italian researchers have developed new interesting and innovative approaches and there is a clear chance to link and share the Italian experience at least with the European scenario of research. My feeling is that the Italian Centenary initiatives – even the most specific or local ones – will be able to join with European scene. 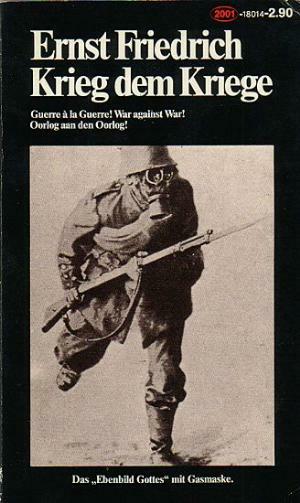 And it’s this international breath that we need in order to rethink the Great War as a turning event of modernity and, precisely because of its tragedy, as one of the experience, on which the European identity is based.